Many miles err ... leagues beneath the arctic ice lies the utopian city of Narwhalia. 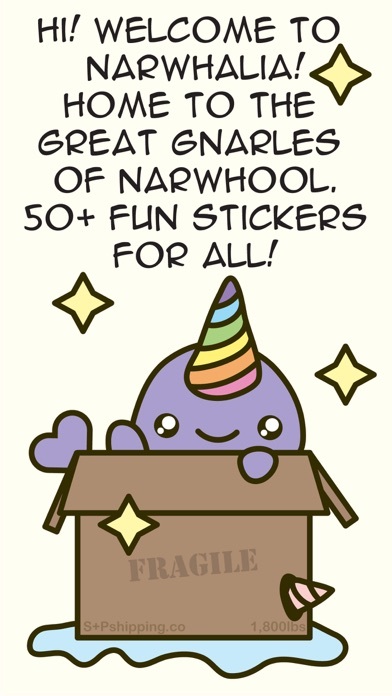 A thriving city of splendid magical magnificence, Narwhalia is home to many thousands of mighty Narwhals. Deep in Narwhalia in the Narborhood of Narwhool is one very special resident called Gnarles B. Puffington (sometimes called Gnarlie by his friends). Often overlooked by his relative tiny size, Gnarles, has decided to leave the grand city and head out on a new adventure! Can you help Gnarles travel around the world and find new friends? ALL artistic talent goes to the renowned artist Cindy Lu. 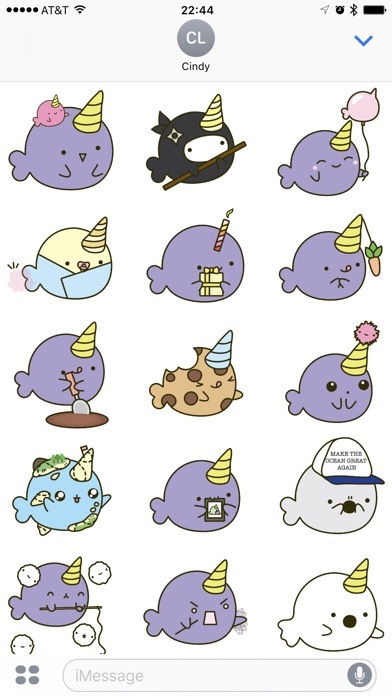 This pack includes 50+ stickers of the cutest narwhal ever. Release Notes: 13 more fantastic Gnarles'sss! Some of my favorite foods join the horde, plush a special surprise... #trumphands clap. End June gloom! Make Gnarles bloom! These are so cute! 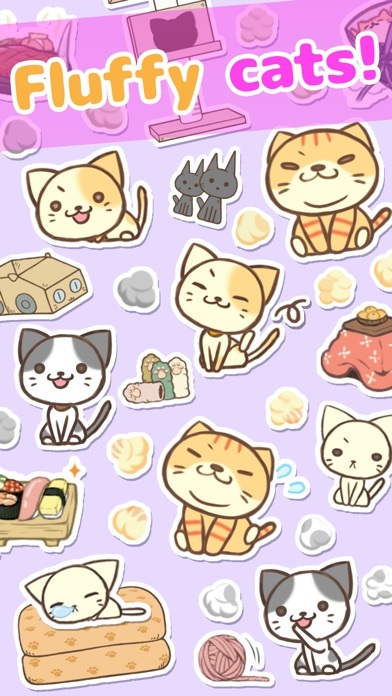 It's not often that I come across a stickers pack that is truly art. Love and talent went into these stickers, and it shows in their gorgeous, minimalist yet warm design. Wish I could pay the artist somehow!!! OMG please continue creating new ones to add to this collection. 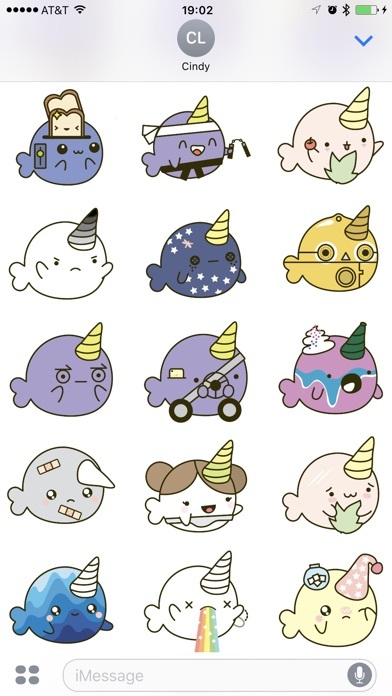 I absolutely LOVE narwhals and I have never been in love and so obsessed with any sticker sets, like I am with this one. And I’ve purchased and downloaded easily over 100 sticker sets for iMessage and none of them come close to how AMAZING this set you’ve created is! 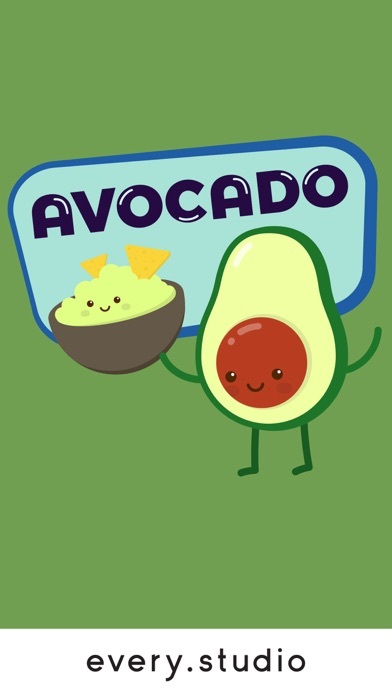 Please continue to update it and would really LOVE to see you make more INCREDIBLE sticker sets like this one! 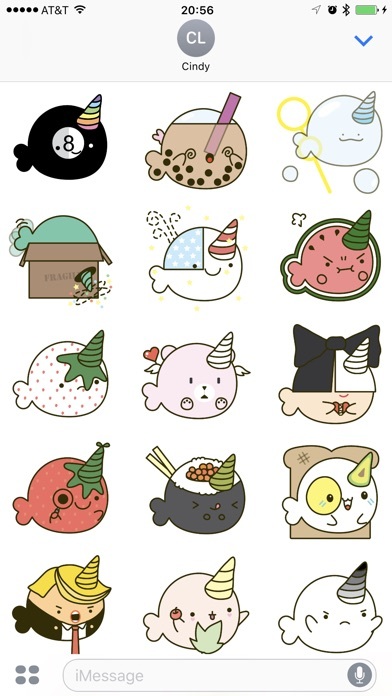 Thank You again for making the most EPIC sticker set for iMessage that I’ve ever seen! 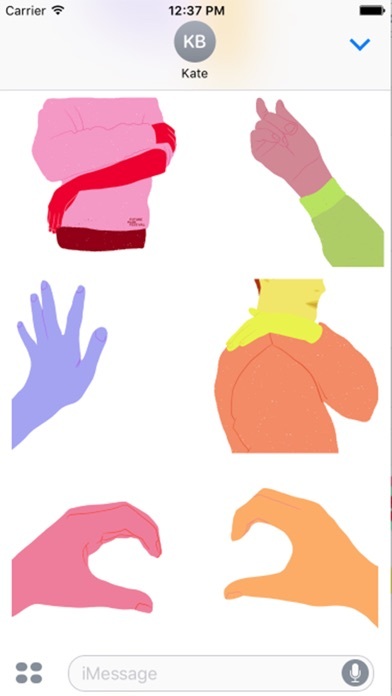 This is amazing for people who love weird things (like me :D)! 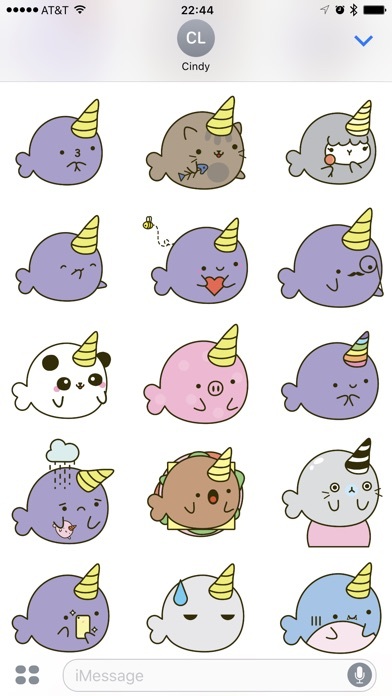 This little narwhal is just too cute, you can't help but love him!! You get a ton of stickers, so many variations and costumes. Definitely my favorite by far! I've always wanted sea creature stickers and now I have them yay! Get your pack today! It's never been easier to say Whale Hello There! Bad puns aside it's a great pack at a great price. Now go build a wall of gnarly stickers!